Can an undercover nerd become a superstar agent? Ben Ripley sure hopes so—and his life may depend on it! Ben Ripley may only be in middle school, but he’s already pegged his dream job: C.I.A. or bust. 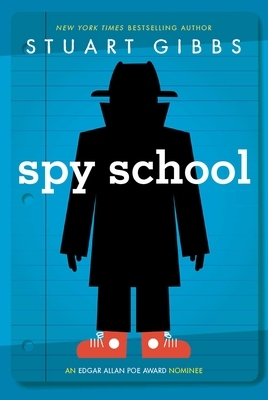 Unfortunately for him, his personality doesn’t exactly scream “secret agent.” In fact, Ben is so awkward, he can barely get to school and back without a mishap. Because of his innate nerdiness, Ben is not surprised when he is recruited for a magnet school with a focus on science—but he’s entirely shocked to discover that the school is actually a front for a junior C.I.A. academy. Could the C.I.A. really want him? Actually, no. There’s been a case of mistaken identity—but that doesn’t stop Ben from trying to morph into a supercool undercover agent, the kind that always gets the girl. And through a series of hilarious misadventures, Ben realizes he might actually be a halfway decent spy…if he can survive all the attempts being made on his life! "Twists and turns in the plot keep readers guessing until the very end. The story, over-the-top funny, combines Alex Rider’s espionage skills with a huge dose of the sarcasm of Artemis Fowl. Subtle digs at the stuffiness of a federal agency and the romance of spying abound." " This romp is a great choice for reluctant readers of either gender."